Alle digitalen Noten von Jimmy McHugh zum Herunterladen bei MusicRoom. Instantly downloadable sheet music by Jimmy McHugh for piano solo of MEDIUM skill level. Alle Notenausgaben von Say It (Over And Over Again) zum Herunterladen bei VirtualSheetMusic. Alle Noten von Jimmy McHugh zum Herunterladen bei VirtualSheetMusic. Instantly downloadable sheet music by Jimmy McHugh for piano solo of EASY skill level. 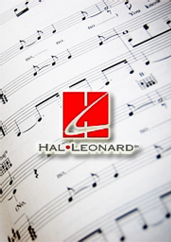 Alle Notenausgaben von Lovely To Look At zum Herunterladen bei VirtualSheetMusic. Alle Notenausgaben von Don`t Blame Me zum Herunterladen bei VirtualSheetMusic. Alle Notenausgaben von I Can`t Give You Anything But Love zum Herunterladen bei VirtualSheetMusic. Alle Notenausgaben von Let`s Get Lost zum Herunterladen bei VirtualSheetMusic. Instantly downloadable sheet music by Jimmy McHugh for voice and other instruments (Bass Clef Instruments) of MEDIUM skill level. Instantly downloadable sheet music by Jimmy McHugh for voice and other instruments (C Instruments) of MEDIUM skill level. Instantly downloadable sheet music by Jimmy McHugh for voice and other instruments (Vocal Volume 1) of MEDIUM skill level. Instantly downloadable sheet music by Jimmy McHugh for voice and other instruments (Bb Instruments) of MEDIUM skill level. Alle Notenausgaben von A Lovely Way To Spend An Evening zum Herunterladen bei VirtualSheetMusic. Instantly downloadable sheet music by Jimmy McHugh for voice and other instruments (Vocal Volume 2) of MEDIUM skill level. Alle Notenausgaben von Exactly Like You zum Herunterladen bei VirtualSheetMusic. Alle Notenausgaben von It`s A Most Unusual Day zum Herunterladen bei VirtualSheetMusic. Instantly downloadable sheet music by Jimmy McHugh for voice and other instruments (Eb Instruments) of MEDIUM skill level.